This is a sponsored conversation written by me on behalf of Pampers® at Sam's Club. The opinions and text are all mine. Mother's Day is special and a day to celebrate moms, but why can't we extend that celebration? My good friend Kimberly recently gave birth to a healthy baby boy at 32 weeks. At the time of this post when I took these photos, (they're being published with her permission), Corey had been in the hospital for approximately 7 weeks, with the expectation of him being released into her care in another week or two. Every day, Kimberly goes to see her baby boy and I imagine that it's tough on her, but she doesn't let it show or get her down. It can't be easy leaving her baby in the NICU while she heads home to take care of her other son, but she consistently keeps a smile on her face while bringing joy to those around her. That's why I was elated to take a few shots of baby Corey so she can have lasting memories for a lifetime. Having a child in the NICU can take a toll on a parent. While you're elated that your little one is here, you may be filled with anxiety over health problems that may arise. It's OK to worry, but don't let it take over your life. Get to know your doctors and NICU nurses and don't be afraid to ask questions. After all, this is your baby. 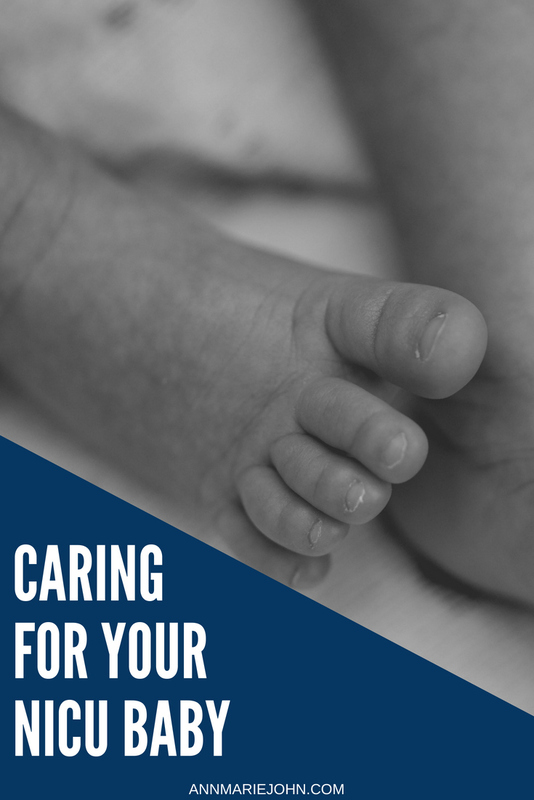 Here are 5 easy ways to care for your NICU baby. 1. Touch your baby as much as possible. In the beginning, your baby may be attached to IV lines, feeding tubes etc., and in an isolette. You can gently hold your baby's hand until you're able to actually hold him in your arms. Once you're able to do so, "kangaroo care" is encouraged. This is where you place your baby under your shirt, getting as much skin to skin contact as you can. 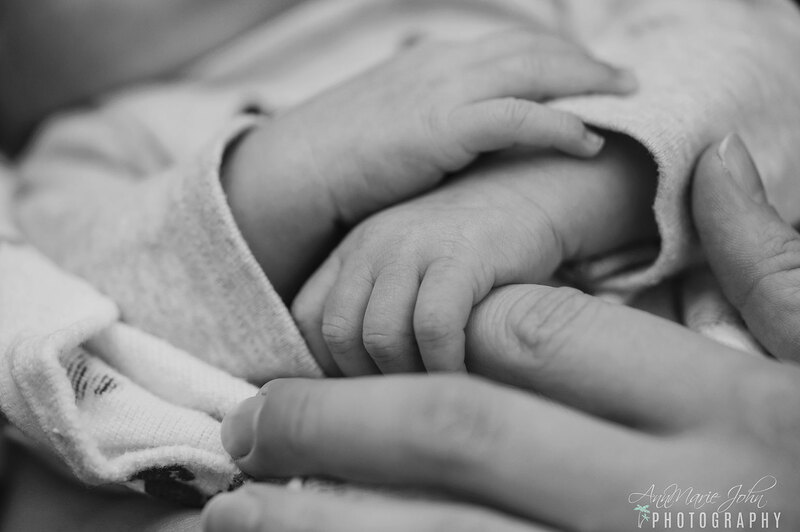 Not only is a great opportunity to bond with your baby, but the skin to skin contact has been known to help reduce stress in your newborn, maintain their body warmth and even gain weight. Talking to your baby is a great way to bond with your newborn. Pay close attention to their cues as newborns can get overstimulated easily. Speak in a calm, soothing voice and you may even sing to your baby. Talk to them when changing their diaper or even when feeding, or even consider reading to them. There's a reason that you're asked to wash your hands upon entering the NICU. Premature babies are born with their immune system not fully developed. Make sure that you wash your hands and all visitors wash their hands with soap and water before touching and holding your newborn or even when preparing feedings your baby. Learn how to properly sanitize, store and prepare your baby's formula if you're bottle feeding. Whether you breast or bottle feed your baby, the choice is yours. While your baby may be fed through a tube, if you intend to breastfeed, you can pump and freeze your milk, and also take in that milk for your baby's use. Once the tube is removed you can hold your baby and bottle or breastfeed. Since premature babies are more at risk for infections, breast milk provides antibodies that can help protect them. It's also easier to digest, but if you can't breastfeed, baby formulas have come a long way since our grandparents days and can work just as well. Since NICU babies are a lot smaller than full-term babies, you may be worried that you may do something wrong. If unsure, ask for guidance from the NICU nurses who are always willing to help. Have a clean diaper and wipes on hand and ensure that you are using a stable surface when changing their diaper. I've always recommended Pampers®, it's the only brand I trust and love. Throughout it all, don't forget to take care of yourself and accept aid from others. It's not a sign of weakness if you accept assistance. Don't be shy to ask for help if you need it. Whether it be asking for support with your other children, having a meal prepared or even getting your laundry done. Also, don't forget to stock up on Pampers® diapers and wipes, you're going to need them when your baby comes home to you. 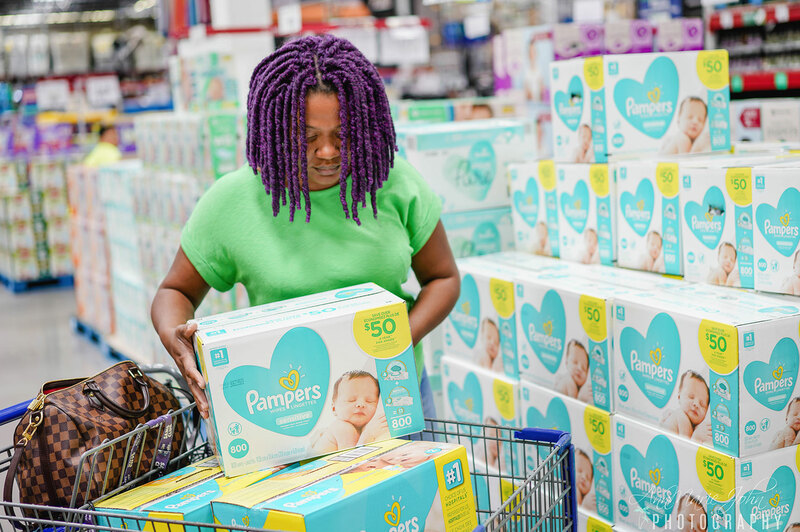 Right now, moms and dads can get $5 off each package of Pampers® diapers, and up to $5 off each package of Pampers® wipes – all at Sam’s Club and on samsclub.com (with free shipping!) and all you have to do is shop. No clipping or downloading coupons or filling out rebates for this great deal. You can buy just one box for savings, or you can buy up to three and put up to $15 back in your pocket (and use the extra money to treat yourself!). With my tips and Pampers®, you'll be caring for your NICU baby like a pro! This is a sponsored conversation written by me on behalf of Pampers at Sam's Club. The opinions and text are all mine.